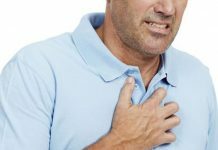 Home Heart Diseases What Is The Medical Condition Known As Enlarged Heart? What Is The Medical Condition Known As Enlarged Heart? For someone to be told by their doctor that they have any problem with their heart can be quite scary. Often we forget to ask the right questions to get the answers we need and many doctors don’t automatically provide the information. Here is some basic information about an Enlarged Heart and what you can do to help the condition yourself. An enlarged heart is exactly what it sounds like – the heart has increased in size. This is not a disease in itself, but usually a symptom of an underlying condition. Often it is picked up during examination for an unrelated problem, which is why it might come as a complete surprise for some patients. A thickening of the heart muscle is caused by the heart being over-worked, because of problems with the heart valves or high blood pressure. An enlarged heart can also show as an expansion of the heart itself because of damage that has weakened the heart muscle and made the walls thinner. Your doctor will ask for an x-ray, scan or echocardiogram to see the exact condition of your heart. 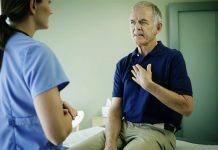 Though some people may have gone to the doctor because they had been feeling short of breath or dizzy, many patients have experienced no symptoms and are surprised when the doctor mentions heart problems. Athletes are particularly at risk of developing an enlarged heart because of the extended periods of intense exertion they subject their bodies to. Actually, any sustained activity or medical condition, that forces the heart to work harder, can cause the enlargement of the heart. Doctors treat the underlying cause of the enlarged heart as well as providing medication for the enlarged heart itself. The condition can be controlled with proper treatment and may be reversed even if the underlying condition proves more difficult to bring under control. 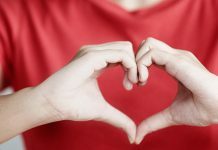 As with many medical conditions, there are some things that you can do at home to help yourself if you have been diagnosed with an enlarged heart. These are changes to your lifestyle and they don’t have to be major changes; start with a few easy steps and then assess how you are feeling before deciding what to do next. These lifestyle changes are recommended for all sorts of things, so it isn’t rocket science. Change some of your eating habits – limit the amount of fast foods and fried foods that you eat each week; try to limit their intake to one or two days a week as a first step. In their place eat more salads (without the high fat dressings), raw and lightly cooked vegetables and snack on fruits and nuts. Get high quality lean protein from fish, chicken (no skin) and legumes like beans. Choose the right types of carbohydrate foods, which supply you with energy. Reduce your dependence on white flour, substitute whole wheat and rye bread for white and eat fewer cakes and pastries. Have skim milk and yogurts in place of full-cream varieties. Increase the amount of exercise you get each week. Take up yoga or pilates; go out for a 15 minute walk at lunch time to clear your head and return fresher to work for the afternoon; play with the kids, walk the dog, or mow the grass. Just get more active and your heart will thank you for it. If you smoke, quit – get some help; there is plenty available. Put these lifestyle changes into your daily life and you will lose some weight, stabilize your blood pressure, have more energy and feel great as well. These are the side benefits – you will be helping to reverse your enlarged heart condition and lessen the chance of heart failure as well. 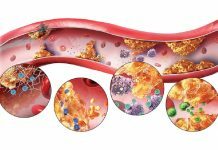 What Are The Heart Conditions Responsible For Endocarditis?